Diane is originally from Gilman, Wisconsin, a small farming community in Taylor County. After graduation she attended UW-Eau Claire where she received a Bachelor of Arts degree as a teacher of German and Sociology. She received her Master Degree from Marian University and Doctorate from Cardinal Stritch University. She spent her whole career with the Sheboygan Area School District – 20 years as a teacher and almost 20 years as an administrator. 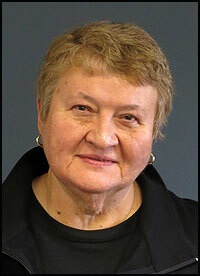 She retired in 2011 as the Assistant Superintendent of Student and Instructional Services. Retirement was great and she enjoyed volunteering at her church, the local Historical Museum and various other non-profit agencies. However, she found another calling. In April, 2016, she accepted the position as Executive Director for the Wisconsin Retired Educators’ Association. Diane has a son who is married and living in Oshkosh. She has two adorable grandchildren, ages 3 and 10 months. In her “spare” time she likes to read, travel, and do needlework.